-"Not in our name should any mother die while giving birth. -Not in our name should any girl, boy, woman or man be abused, violated, or killed. -Not in our name should a girl child be deprived of her education, be married, be harmed or abused. -Not in our name should anyone be denied access to basic health care, nor should a child or an adolescent be denied knowledge of and care for her/his body. -Not in our name should any person be denied their human rights." A larger and similarly diverse group took the topic further at an Oslo, Norway meeting on May 20. 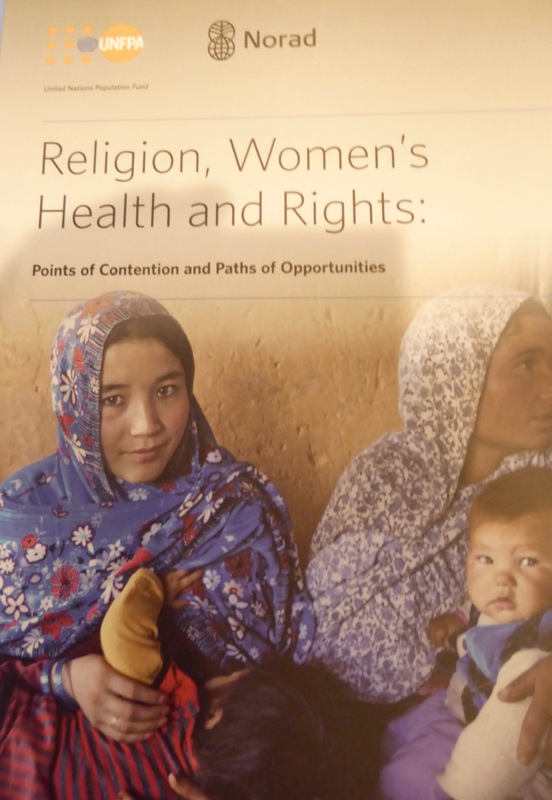 The provocative conference title highlighted a willingness to take on difficult issues: "Religion and Development: Dialogue on Gender, Rights, and Sensitive Issues". The meeting launched a UNFPA/NORAD report that focused on "Points of Contention and Paths of Opportunity" (I contributed to the report). The context is the perception and the reality that an alliance, one some term "unholy" (because religious voices are so prominent), works systematically to contest "progressive" approaches to sexual rights and reproductive health. That means first and foremost women's health and family planning, but too often rights of LGBTI people and the very notion of equality between men and women come into question. Increasingly in virtually any discussion where equal rights is at issue (that means pretty much anything) contentious negotiations surround language, for example the word "gender", and provoke difficult and often unproductive debates. Questions arise even when something like ending child marriage, fighting HIV and AIDS, or combatting domestic violence, seemingly hard to question, is on the table. To be clear, it is governments that negotiate these documents but religious beliefs color the policy stances of many governments in complex ways. "Women's rights are human rights" (the title of Hilary Clinton's powerful speech in 1994 in Beijing) has become a common call. Two important international meetings, in Cairo in 1994 on Population and Development and in Beijing in 1995 on women, highlighted a broad understanding of what those rights meant and stand as landmarks of principles and practice. In the decades since then, the focus on women's rights has seen ups and downs. Remarkable progress in some domains, especially education, contrasts with lethargic change in others. The rhetoric of world leaders highlights national action plans for women. But implementation often flags, for example in reforms in key areas like family law, land policy, political representation, and family planning. Two important doubts creep in to this happy story of progress. The first is the reality of ugly backlash against women's rights in many places. Indonesia, Bangladesh, and the United States are among too many places that are witness to rhetoric that calls the most basic notions of equality into question. And the second is priority: too often, especially where security seems to be at issue, the false notion that women's rights are not the priority kicks women's issues off the agenda. 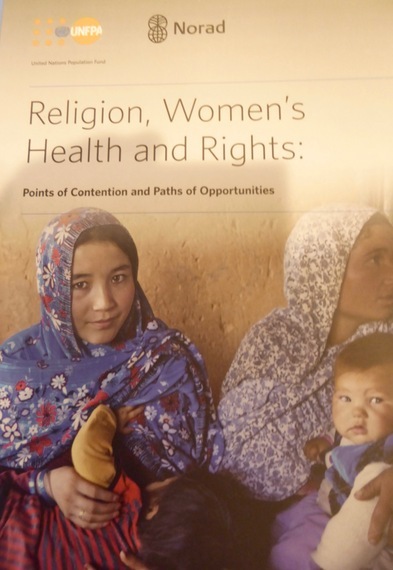 What women's rights mean in different religious and cultural settings is indeed contentious. Rights begin in the family, and understandings of sexuality and assumptions about the significance of gender roles are shaped in this context. Religious beliefs very often play an important part in this intimate process, as they do at a social and political level. But to assume as many do that religion is primarily about patriarchy and about subordination of women and denial of joy and change in sexual norms is a lie. Most religious traditions at their core are about human dignity and opportunity. Religious communities include some of the world's most valiant fighters for social justice and change. - Religious communities include leaders who highlight both moral complexities around issues like sexuality but also the caring, compassion, and love that are involved. Equality is an ancient aspiration but a modern goal that is still far off but in our hands to achieve. A balanced and compassionate approach, taking into account practical experience the world over, can reshape norms to fit an understanding of equality today.